The use of Computational Fluid Dynamics (CFD) to resolve engineering challenges has been phenomenal in the last decade. Engineers are progressively relying on computational models to evaluate product design, expecting sizable reduction in the product development cycle. Despite the horde of advantages the CFD approach offers, there has been severe criticism on taking the simulation results for granted. It is in fact true, that CFD results aren’t always accurate and needs to be validated and verified with numerical calculations and physical experiments. On the other hand, simulating real world problems isn’t impossible; one only needs to make sound engineering judgments for these particular engineering challenges, select application specific meshes, apply suitable boundary conditions, select appropriate turbulence models and figure out well-validated test cases to reduce the turn around time in generating accurate simulations. 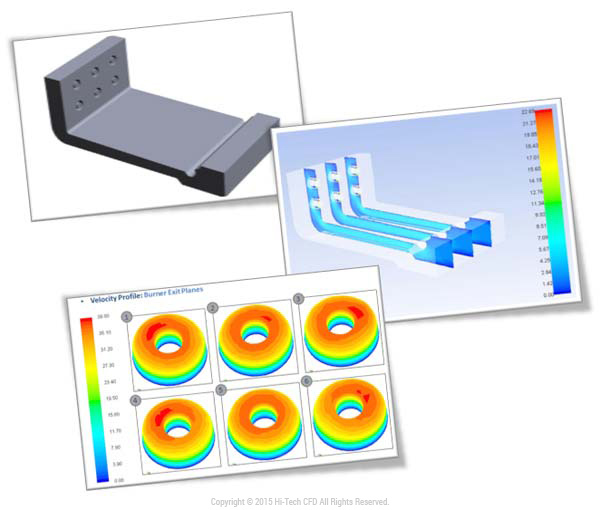 Most of us, as CFD users, are well aware about the tools the CFD software packages offer. However, exploiting these tools for a specific problem is what most CFD analysts fail to realize, which in turn affects the quality of simulation results. To unfold the complexities of resolving specific engineering challenges through CFD, here’s some food for thought. Tons of commercial and non-commercial CFD solvers are available in the market, leaving a new user quizzed on choosing the right one. At this juncture, it is important to ask yourself few questions pertaining to actual requirement and go for the right one. Make sure that the CFD package you are selecting has all the facilities available to model the physics that you actually need. The algorithms underlying the solver should be capable to solve your specific problem and must have adequate training and support facility to learn and customize the package as per your requirement. Selection of turbulence models for a specific application is of paramount importance, and with the availability of turbulence model in masses, the problem of model selection only becomes worse. Again, the turbulence model is largely dependent on the capability of the solver that you chose, which clearly points to knowing the physics of your application better. There may be instances when k- epsilon turbulence model will be unstable compared to the SST model. Depending on how narrower your application is, the solving capabilities of standard models become even more complex. Thankfully, engineers in the quest of finding accurate solutions have made available several tweaks of generalized turbulence models to suit specific applications. When used with a good grid, the results obtained through these models have shown remarkable accuracies. Once you’re through with the selection of the solver and the turbulence model, the next big thing is to consider the importance of two major pillars on which your CFD results will boast about its accuracy. In fact, validation is one of the aspects where you should invest most of your time, if you are seriously concerned about obtaining useful results in the end. Fortunately, most CFD solvers provide demonstration or tutorials of test cases through which the CFD codes can be well-validated. There are few online repositories as well for test cases, which you can refer to verify and validate your solver capabilities. The pursuit for achieving quality results doesn’t end with validating your model; you still need to understand the importance of establishing a good convergence criterion in order to ensure the solution to become stable. Unfortunately, there are no standard guidelines that one can follow to select the convergence criteria, as it all depends on the physics involved, underlying CFD codes in the solver and its scaling of the residuals. The only feasible alternative to obtain good convergence criteria is through trial-and-error methods. Keep in mind that despite the consumption of the time and computer memory, every solution must be converged before jumping to conclusions.